Anushdaru Lului (Anooshdaru Lului) is a Unani Medicine and tonic. It is used for providing strength to the brain, nerves, heart, liver and stomach. The main indication for its use is heart palpitation. It is an excellent cardiac tonic and improves the strength of the cardiac muscles. All its ingredients improve the heart health and are helpful for treating cardiac diseases. It modulates the acid secretion in the stomach. It acts as a protective medicine for stomach, which helps to treat dyspepsia, hyperacidity and gastritis. It also acts on brain and nerves. It reduces hyperexcitability of the nerves, so it is also useful in cases of neuromyotonia and disorders in which hyperexcitability is a symptom. Note: Anushdaru is a different category in Unani Medicine, but it is a type of majun (electuary) and considered as a subcategory of majun. So, we have organized it under Majun Category on our website. The main ingredient of Anushdaru Lului is Amla (Indian Gooseberry). Lului in it refers to Pearl. This formulation is given in National Formulary of Unani Medicine, Part 1. Sheer-e-Amla (Amalaki Svarasa) – Emblica officinalis fruit Juice Q.S. Sharbat-e-Fawakeh (Shahad) – Honey Q.S. Soak Amla seedless fruits in milk for 24 hours. After 24 hours, wash amla fruits with water. Now, boil amla fruits in water and let it become soft. When they become soft, and then separate the water content. Use this water for making Qiwam (Basic Solution of Particular consistency) of Qand (sugar). Now, mix all ingredients in Qiwam. Anushdaru Lului is helpful in following health conditions. The general dosage of Anushdaru Lului is as follows. Anushdaru Lului is considerably safe for most individuals when taken as per its indications in appropriate dosage under professional supervision. There are no side effects observed with Anushdaru Lului. Anushdaru Lului contains a high amount of sugar content. Therefore, people with uncontrolled diabetes mellitus should not use it. 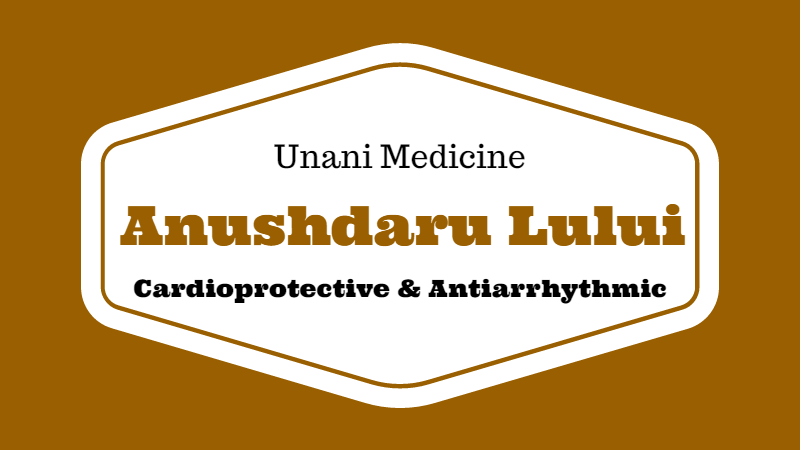 The safety profile of Anushdaru Lului is not well established for pregnant women and lactating mothers. Consult an ayurvedic physician before using Anooshdaru Lului during pregnancy and lactation.